Another significant event that took place in Tagbilaran City was the Battle of Ubujan where a guerilla unit under the command of Captain Francisco Salazar, Nome-de-guerre of Vicente Cubello, engaged a Japanese troop against overwhelming odds on October 22, 1942. It was a display of Boholano bravery of raw and naked courage against the well-equipped and well trained Japanese soldiers. Capt. Salazar died in the field of battle bringing honor to his family and to the country for his bravery. After a successful Moalong Ambuscade on September 27, 1942, Capt. Francisco Salazar’s fame spread far and wide even to the distant islands of Cebu and Leyte. The day after, he established his supply camp at the mountain barrio of Cantaongon, about five kilometers from the scene of the battle. Here in this camp, Capt. Salazar inculcated in the mind and heart of his men the love of country and the true worth of a man. He was a man of discipline and preached by example devotion to one’s duty, love and fear of God, respect for women, self-reliance and abnegation, courage and daring, loyalty and patriotism. With a warm and pleasant personality and a soft mellow voice, he gained the respect of his followers and was loved and admired. He eventually won hundreds of followers to his cause and within a remarkably short time his men grew to more than 1,000 soldiers including volunteers. People willingly donated food supplies, clothing, arms, ammunitions, dynamites, beddings, bolos, office equipment, stationery, and other materials needed in their operations. Within four months, from October 1942 to January 1943, the Cantaongon Supply Camp’s aggregate value reached more than P10, 000 and became the most dependable supply depot of the guerrilla army in Bohol. On October 14, 1942, Salazar organized an ambush at Abatan, Maribojoc near the bridge believing that the Japanese soldiers would not go beyond Maribojoc or enter any part of the town of Loon. The supposed site of the ambuscade was atop an elevated flattened area overlooking the Abatan Bridge, a site not different from that of Moalong. However, failure to make an engagement with the enemy prompted Salazar to push forward and establish an ambuscade in the barrio of Ubujan, Tagbilaran on October 22, 1942. The site of the ambuscade in Ubujan Daku was along a road bend between kilometer 4 and at the Tagbilaran North National Road. The ambushers were occupying an area about 100 meters along the North National Road, right side of it facing seaward opposite the place where the MB Liner compound used to occupy. Itching for another encounter with the enemy, Salazar chose the Ubujan site because the terrain was flat, thinking that the enemies would not suspect an ambush on such a flat area. A few hours before the encounter and in a sad mood, which was considered by some as an ominous sign, Salazar summoned Lt. Rogers (a.k.a. Lt. Juan Relampagos) and instructed him to evacuate all documents on classified matters to their rear command post in Cantaongon. Armed with bolos, with only thirty firearms and reinforced by the dynamite boys, the ambush took place when three truckloads of fully armed Japanese soldiers arrived. It was a hot afternoon and the men were calm and orderly. They were instructed by Salazar to advance and engage the enemy in a hand to hand combat at his command. They were also told that they would die if they will not obey his commands. Believing in his proven power and ability during past operations, the men obeyed without hesitation or fear. Salazar was known to have possessed a talisman in the form of a libretto. Many claimed that this talisman made him invulnerable to bullets and other weapons after uttering ejaculations from the strange tiny book. It may be coincidental, but this power was proven true during the Moalong ambuscade. A hand grenade was thrown at the place where he was standing, yet he was not hurt in any way when it exploded near him. But as all stories go, and believed by the old folks, the power of the talisman can be neutralized only by a woman. May it be pure coincidence but it was known that a woman crossed his path before the firing line. The woman, a certain Maria and accompanied by a lad, pretended to look for a medicine man to cure her ailment but in reality was a Japanese spy. 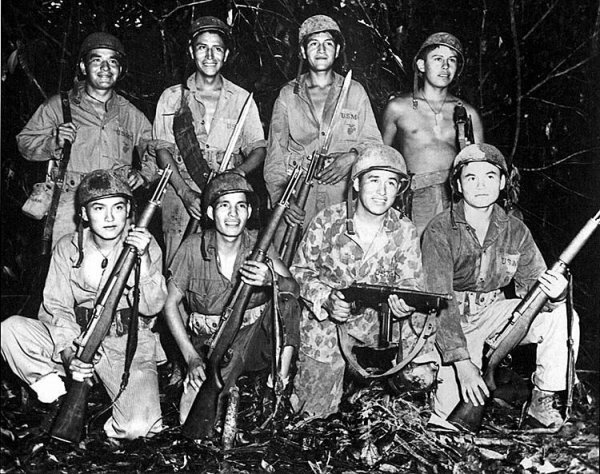 The ambush was engaged immediately after and only in a matter of hours, it left the famed Francisco Salazar dead from bullets of the Japanese soldiers. All in all, fourteen guerilla fighters fell and eighty nine Japanese soldiers lost their lives in the skirmish. His remains were buried in Tubigon and later transferred to the Loon cemetery. Salazar’s real name is Vicente T. Cubero. Born on September 28, 1911 in Barrio Carmen, Lanuza, Surigao, his parents were full-bloodied Boholanos. His father, Isidro Cubero hailed from Loon and his mother, Antonia Tejol, from Corella. In his boyhood, they lived in Barrio Tultugan, Calape and then in Pondol, Loon before they finally migrated and settled in Surigao. At about thirty years of age, barely 5 feet and 3 inches tall with light brown complexion, a little bow-legged, with prominent white of the eye, and fine wavy hair, he arrived in Bohol in the later part of June 1942. He was a secret agent of the USAFFE and he was sent to spy on the activities of the pro-Japanese spies in Bohol. He immediately went to work and travelled from place to place incognito, assuming different aliases. A marker was erected in the district of Ubujan to commemorate the historic event of the battle where Captain Francisco Salazar and his men fought bravely the superior forces of the Japanese on October 22, 1942 and shed their blood for the cause of the Filipino people. Excerpts from “This is Bohol” by Mrs. Salome D. Ramos, the Bohol Provincial Librarian with the help of her assistants.